1.2 Is red clover toxic? 1.3 What are the red clover components? 1.5 Is clover toxic to livestock? No, red clover is not a toxic plant. In fact, it has been approved by the US FDA as a safe food. It is among the plants considered as GRAS (Generally Recognized As Safe). What are the red clover components? – Carbohydrates: arabinose, rhamnose, glucomannan. – Salicylic acid, oxalic acid and caffeic acid. – Phytosterols or phytoestrogens: daidzein, genistein, formononetin. Tripolium repens is a congener species, very similar, but, it contains cyanogenic glycosides in its aerial parts, which become toxic because, once in the body, they are decomposed in cyanide. The plant can produce photosensitivity reactions. The plant contains phytoestrogens that have abortifacient effects, so it is completely contraindicated during pregnancy. This plant has estrogenic effects, so treatments with this plant should not be given to people undergoing treatment with contraceptives. The amount of phytoestrogens that are ingested when this plant is used in food seems to be enough to present problems of toxicity. Clover treatments can cause side effects related to its hormonal effects. * More information on side effects of clover. Clover is rich in coumarins and salicylic acid, anticoagulants components that promote blood thinning and facilitate bleeding, so it is not recommend a prolonged use of this plant. Do not combine with other anticoagulants such as ginkgo. Is clover toxic to livestock? In livestock animals, it seems that clover can cause bloating, infertility or birth defects and dwarfism or deformations on hips. This is a plant containing oxalic acid. Oxalic acid is an antinutritive component that “robs” calcium and iron, preventing its absorption in the intestine. These compounds, known as oxalates, are also present in other foods such as beet, spinach or cocoa. Oxalates can reach the blood, binding with serum calcium and accumulating in the renal tubules, coming to form kidney stones (nephrolithiasis). 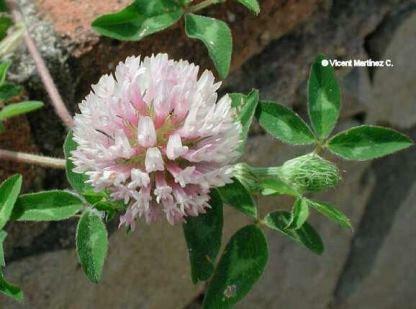 People with rheumatic diseases, gout and arthritis should not take large amounts of clover in the diet.